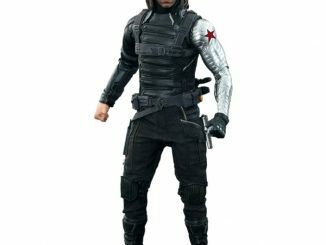 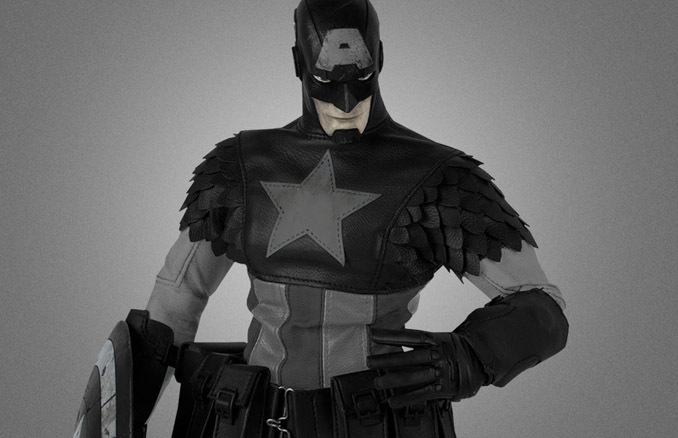 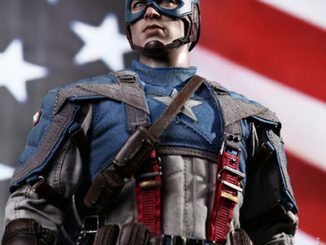 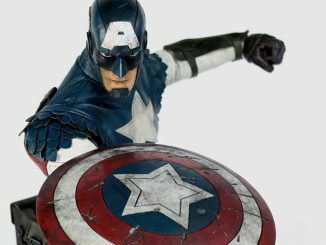 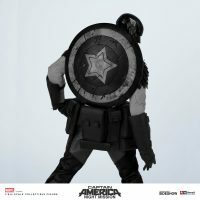 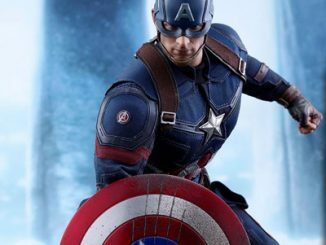 Red, white, and blue don’t exactly help with stealth so the Sentinel of Liberty goes dark with the Night Mission Captain America Sixth-Scale Figure. 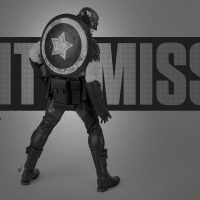 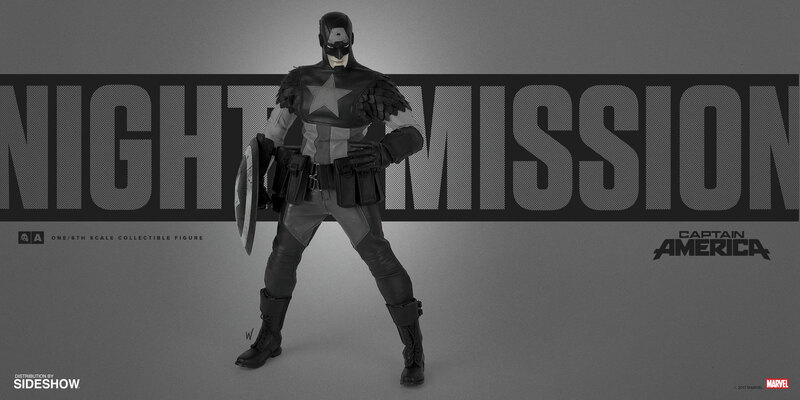 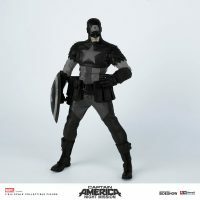 Artist Ashley Wood gave us her vision of Captain America with the ThreeA Toys Captain America Sixth-Scale Figure, and now that unique vision goes dark as Cap prepares to go on a night mission. 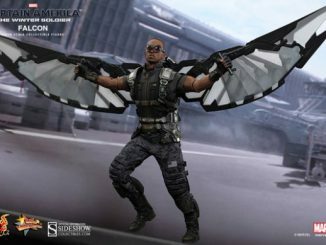 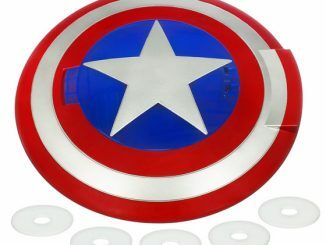 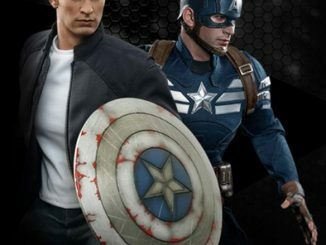 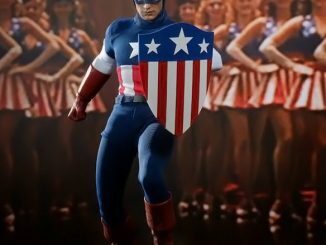 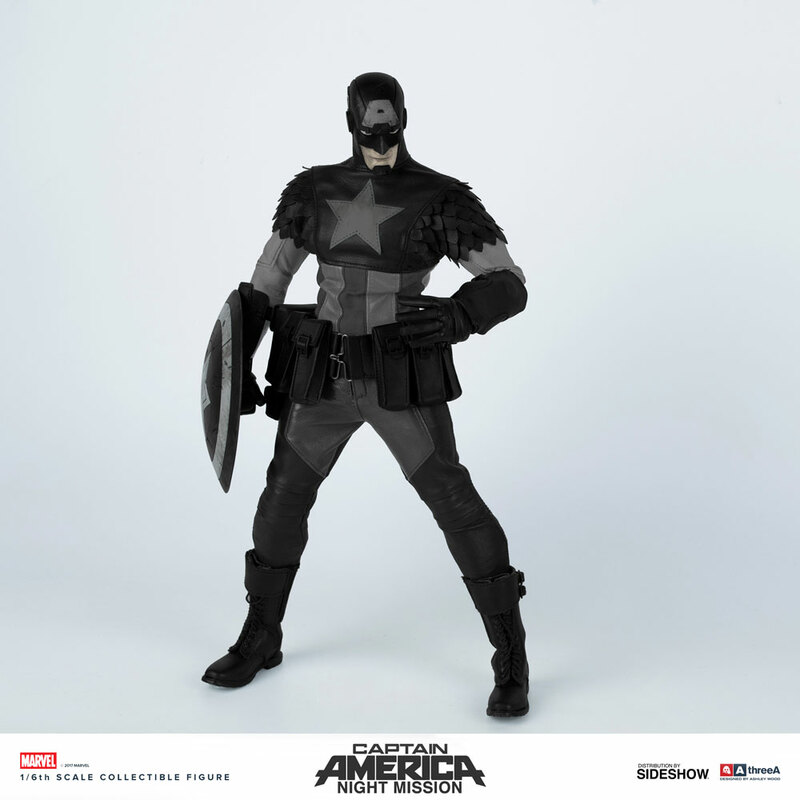 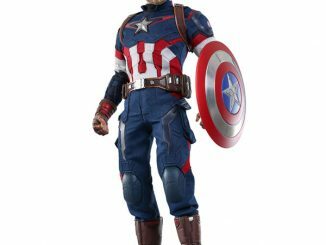 We still get the eye-catching design that brings in something new while still honoring Cap’s classic look but the super soldier can now blend in to the shadows a little bit easier. 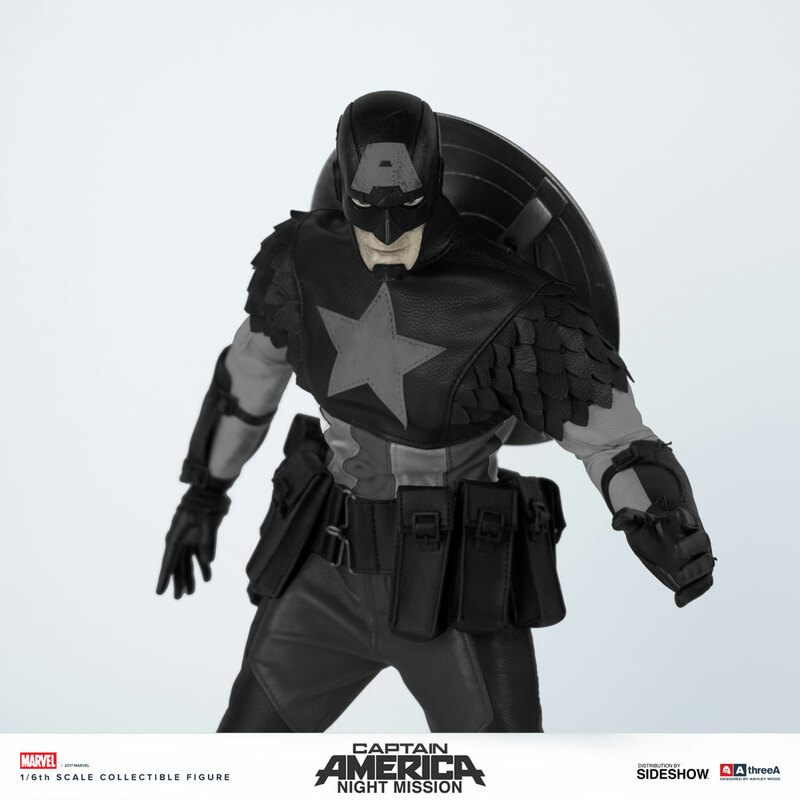 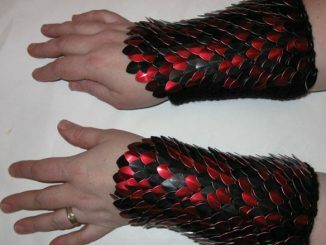 Standing a little over a foot tall, the figure features an utility belt that would make even Batman feel belt envy and a magnetic shield that can be attached either to his back or his faux-leather arm bracers. 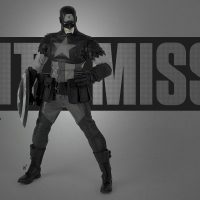 Coming Dec 2017 – Feb 2018. 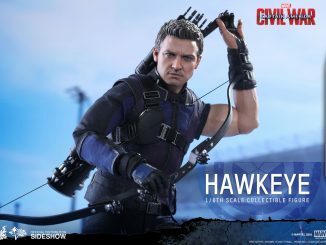 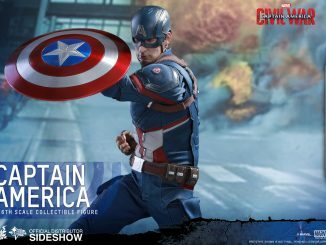 Preorder now for $240 at Sideshow Collectibles.